Our reader who posed the question to us indicated that he currently had a mortgage that was being renewed and that he wanted to increase the mortgage from $75k to $100k. He also indicated that he did not have any other loans or credit card debt. Our reader is employed full time and has been at the same job for the past 6 years. He would like to increase his mortgage so that he can complete a number of renovations to his home next year. He is also considering interest only mortgages for his renewal. They would like to know whether that this is a good way to proceed or not. Also what the drawbacks would be with this type of mortgage. This is really a two part question: Interest only mortgages and increasing the mortgage to help pay for future renovations to his home. Many consumers plan renovations every year to their home to modernize them and to make them more attractive for sales purposes. This is a pretty common question for consumers all over the country. Many people like the idea of only paying interest on a mortgage since it means our monthly payments are lower as a result. While they do have this advantage there are a number of issues to consider before you leap to this solution. 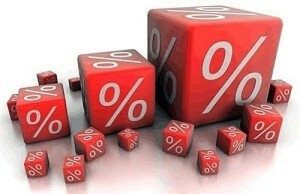 First of all the interest rate is fixed usually for a short period of time, usually for a one month period. The interest rate is set based on the prevailing bank rate and can fluctuate a great deal over time. If you are concerned about increasing rates, then this may not be the best approach for you. Secondly, paying interest only really means that you never repay the principal on your mortgage. As long as you are ok with this approach, then there is no problem. However most people want to be mortgage free at some time in their lives. Thirdly, all clients must pay as a minimum the interest due each month. The amount will vary based on the stated interest rate. Your payments will not be fixed. Instead they will be different each month based on the interest rate and the principal that you have remaining on your mortgage. When mortgages come due and it is time to renegotiate, it is always a good time to consider consolidating other loans and debt. In this case the home owner is planning to renovate his home next year. While they do not need the money just now this is a good time to negotiate a mortgage that is really a line of credit. A line of credit is a mortgage with a defined upper limit, in this case $100k. Since the current balance is only $75k, they will have $25 k to work with and draw on when they need it. This is an excellent way to consolidate loans and debt and in this case complete renovations as needed. One caution to consumers is that you really need to have great self control when it comes to managing debt. If you are unable to pay significant amounts from time to time on the principal in addition to the interest, this type of loan might not be the right product for you. It takes good money management and self control to manage your debt properly. Let us know if you have a question by leaving a comment. We will try to answer it on a future post. For more information about interest only loans, click here. we have had an interest only mortgage for some time and while they are great from a flexibility point of view, they are just too easy. We have not paid this thing off ever, since we just keep paying and then borrow some more. So the message is be careful when you sign up for one of these.